This is the project that started it all. 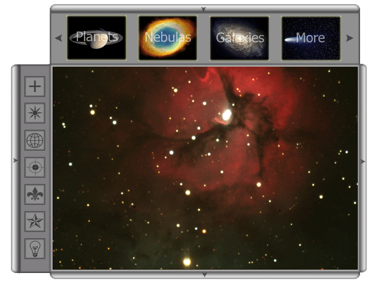 AIVA – the astronomical image visualizer and analyzer – is meant to be an educational web tool that allows students and the general public to interact with the same images of the universe that professional astronomers use. Astronomical images, in their raw form, contain much more information than can be shown in a single .jpg picture. The problem is that you need special software to open and display the raw astronomical images. The AIVA platform will change all that and make world-class astronomical images accessible to the general public. I originally intended to start AGL Initiatives as a non-profit to seek grant support to develop AIVA into a full-fledged educational tool. I even created a promo video and website to get the ball rolling. I still think it is an awesome idea, and if the right developer comes along, maybe we can work together to make it a reality.